Ummm....so, I got a mic and Skype (I've resisted it for years on the misconception that there;s alot of lag!) and and and and....I thought I'd do an audiblog today. It's a bit stuttery (I'm kinda shy) but.....hehe here goes! PS: Yes - I say umm, yeah, y'know alot....a helluvalot. wa lan!! 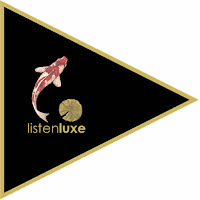 Luxe!!! Yer england sooo powerderful one! So steady, ang-moh-ish... slang so naturale!!!! I think jee the fatso dun dare to hook up with u as friend lah... i am a boor... no slang, juz lan ah! Oiii dun be such a slangist!!!! I know where you hang out on Thurs and Friday nights!!!! I'm the sort of hombre who enjoys to seek hot stuff. Currently I'm manufacturing my own photovoltaic panels. I am doing it all alone without the assistance of my staff. I'm using the net as the only way to acheive that. I ran across a really brilliant website which explains how to build photovoltaic panels and so on. The web site explains all the steps involved in solar panel construction. I am not really sure bout how precise the data given there iz. If some people over here who had xp with these works can have a look and give your feedback in the page it would be awesome and I'd really appreciate it, cause I really take an interest in solar panel construction.